I am selling this stunning pair of genuine mandarin orange spessartite earrings. They have a faceted, hexagonal cut which makes them very unique. The color is super bright. Flashes of orange and yellow, they honestly look like they are on fire! They measure just under 6mm and are over 2.3 ctw. They are set in solid yellow gold. 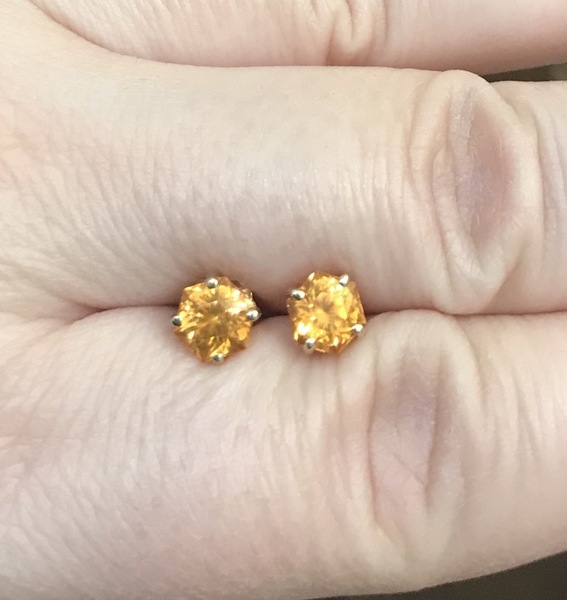 I am selling them because I find I rarely (almost never) wear yellow gold. They are in excellent condition!